And now September 2010. 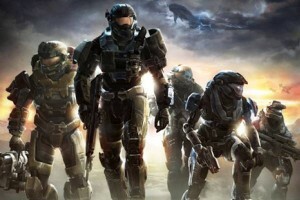 Each one is a pivotal date in the history of videogames, as each one marks the beginning of a chapter in the Halo saga. In New York, the first man to get his hands on the coveted Reach, queued for 55 hours for his copy (Pop Culture Monster queued for one), signifying the importance of this installment to the gaming community. Although it remained to be seen at that point whether or not our faith would be rewarded. Pop Culture Monster was not disappointed. Halo Reach stands as a prequel to the other games in the series, set shortly before the events of Halo. 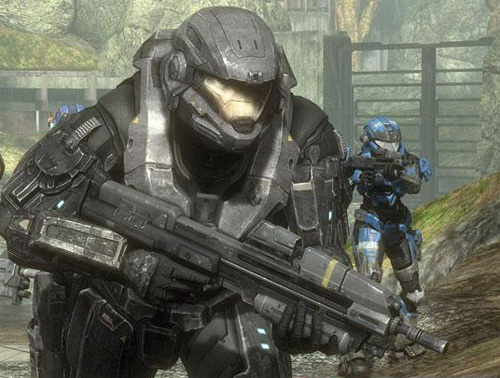 The game follows the Noble 6 – an elite strike team – through the battle for the planet Reach, in the ongoing war against the covenant. You play as number Six, the newest addition to the team. 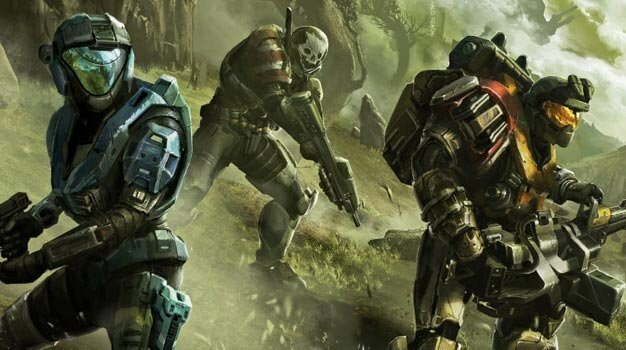 Halo Reach strikes out on its own from the very beginning. First of all we have the campaign mode. Reach adopts one of the better features of Gears of War by establishing you as part of a unit. As such, you have characters you can immediately relate to and trust to anchor you in the game. It goes a long way to undoing the hollow feeling of the campaign mode in Halo 3. Other changes include the health system, which has reintroduced the concept of body damage from Halo. Now when your shields are depleted you have a health bar which takes damage until your shield can regenerate, you can also use medpacks scattered around the map to undo the body damage. Thankfully this means no more desperate leaping around the place once your shield is drained, for fear of a one hit kill. Naturally new weapons litter the game, our current favourite being the Target Locator, used to call in a devastating aerial strike. Players can still carry two weapons that they may switch between, but the ability to dual wield has been removed, with the left trigger now serving as your grenade button. Which brings us to the jewel in the Halo crown: Multiplayer. Bungie has executed a major overhaul of the multiplayer for Reach. At the beginning of each spawn players can choose particular loadouts, each with a specific function. Each loadout comes equipped with an ability unique to that armour set, for example the Medic loadout allows the player to drop a bubble shield and heal the players within; Aerial Assault comes equipped with a jet pack etc. This makes for much more dynamic online play as players can now tailor their equipment to their play style and build an effective combat unit. Choosing loadouts carefully is going to make or break an online victory. Another dramatic difference is the rethink of the EXP system. Players no longer only earn experience based on whether their team wins or loses. The new system rewards EXP firstly for finishing a match, then based on individual performance, completion of challenges and then a pot luck slot machine. As such, players are now rewarded for their participation in matches, making the online multiplayer more appealing for inexperienced or nervous players. Halo Reach is a well rounded, fully realised installment to the trilogy. It excels where Halo Wars and ODST had let us down and brings a whole new set of features to the table, while remaining faithful to the series. Overall Reach has proved a great success; a success which is sure to compound as the game develops over time with DLC and user content. So what are you waiting for? With over 100,000 users online as we write this, you don’t want to be late to the party.